The Papago Park Nature trail is located not too far from the Phoenix Zoo in the east section of Papago Park in Phoenix, Arizona. The easy to hike interpretive trail identifies many local plants and wildlife as it follows a small loop around its desert garden. The trailhead is on the west side of the Ranger Station and public restrooms. 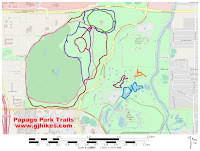 The trail itself is a rock lined hard packed gravel path that should be manageable for baby strollers. A loop begins a short distance from the trailhead that snakes its way around the desert landscape. There are over 20 interpretive signs that identify many of the plants. It actually saved us from having to look up one that we were unsure about. 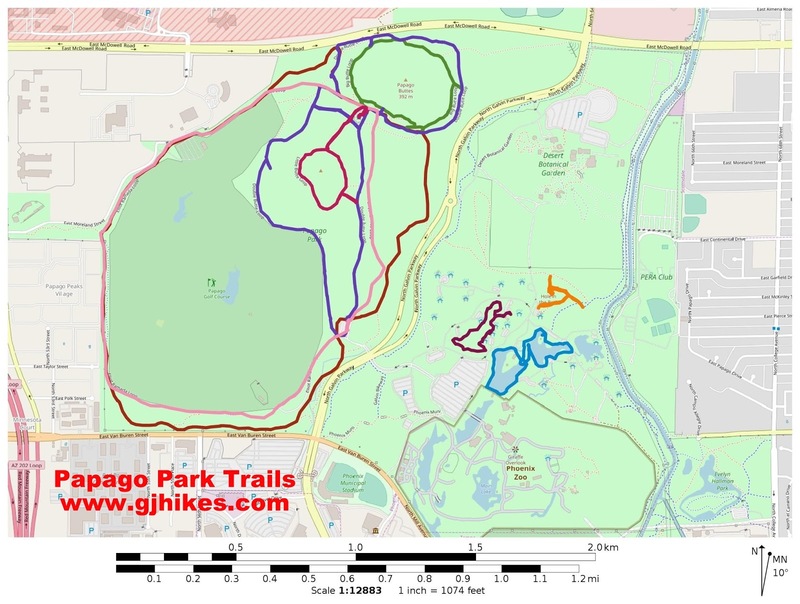 There are several picnic ramadas around the edge of the trail that include tables and charcoal grills. These can all be accessed by vehicles. Families with small children might like to spend some time at the playground along the way where there is also another drinking fountain. There are some rough spots in the trail where there are steps of sorts that would probably preclude wheelchair accessibility on the otherwise smooth surface. As the trail turns back to the north there are some red buttes, including the popular Hole in the Rock, that color up the background. 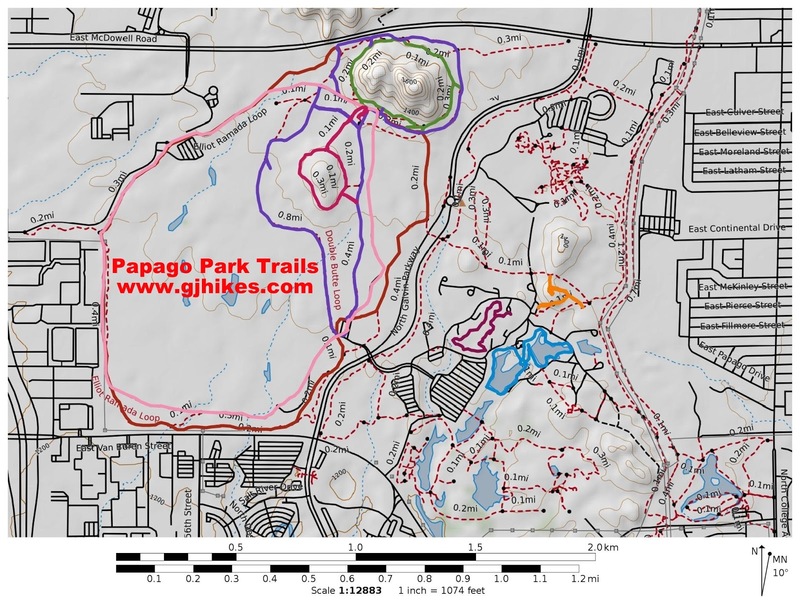 The Papago Park Nature trail should be educational for everyone and children are sure to enjoy the playground and just spending some time outdoors. 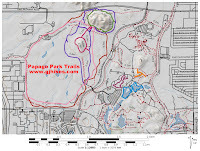 With the Phoenix Zoo, Papago Fishing Waters and the Hole in the Rock trail nearby there is a lot in this part of Papago Park to draw families. There are also well over a dozen ramadas for having a picnic. To learn more about plants the Desert Botanical Garden is nearby. As far as the Papago Park Nature trail goes, it is a nice place to start. If you would like to see it for yourself then all you have to do is 'Take a hike'.